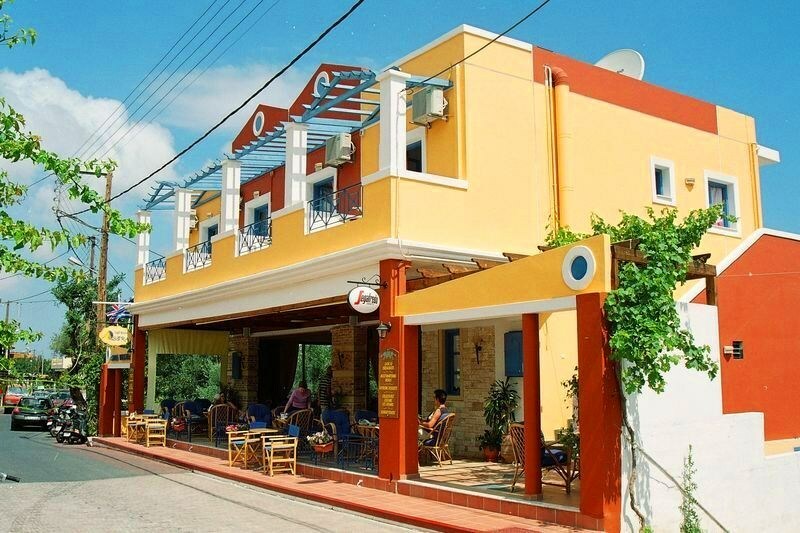 The Astra Village Apartments are in the village of Koutouloufari, 25 metres from the village square and its shops, bars, supermarkets and restaurants. It is also just two thirds of a mile from the centre of Hersonissos and its beach. Koutouloufari offers a traditional slice of village life from a hillside location above vibrant Hersonnissos. With its quiet and rustic atmosphere, the village is the ideal spot for unwinding and enjoying a relaxing holiday in Crete. Family-run, the Astra Village Apartments are Minoan in style with sloping walls and multi-level rooftops clustered around a central courtyard with lovely views of the coast. The main focal point of the apartments is the two swimming pools and the sun-trap terrace where you will find plenty of loungers, and parasols for those in need of a little shade. There is also a childrenâ€™s play area complete with swings and a slide, and a poolside bar serving cocktails and ice-creams.